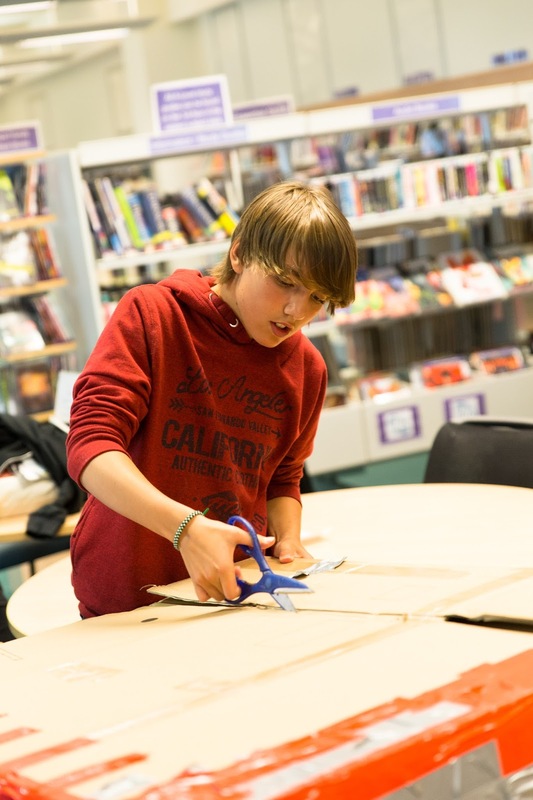 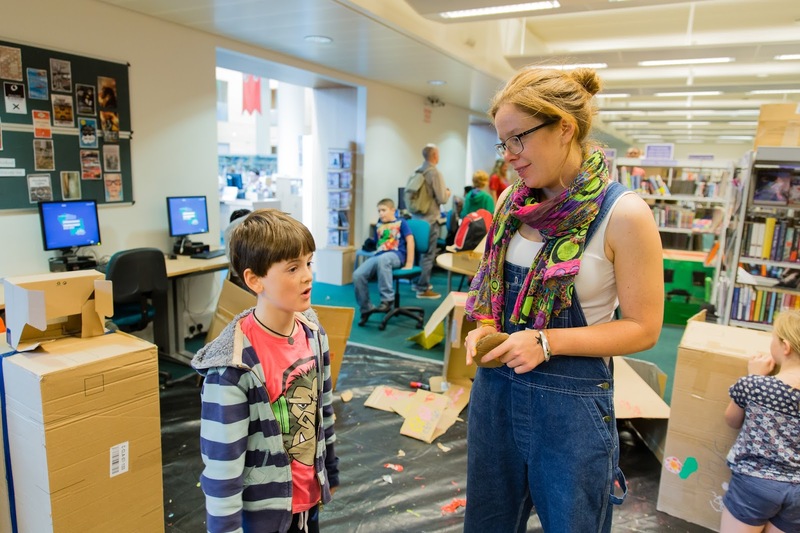 As many of you may already know Jubilee Library is an awesome place, the staff are friendly and the facilities are great. 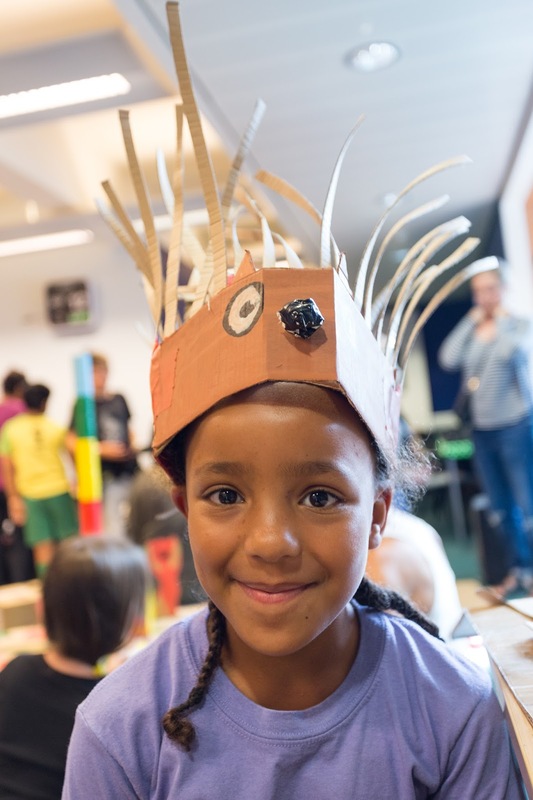 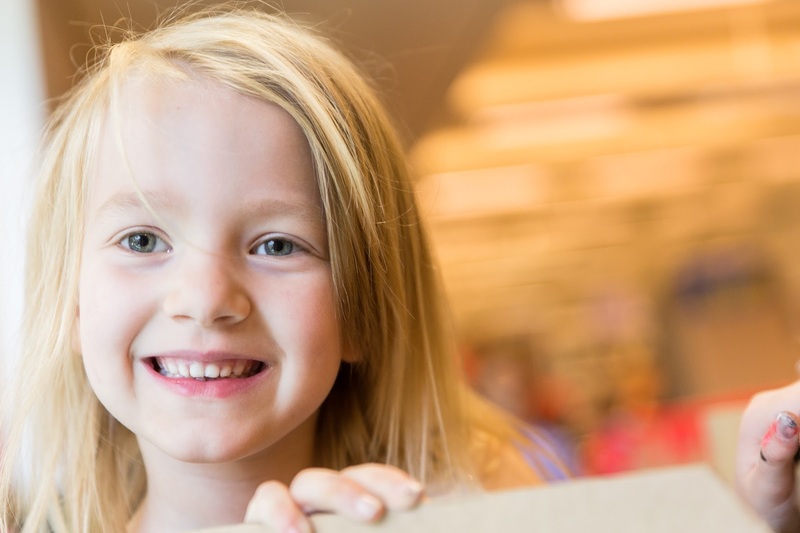 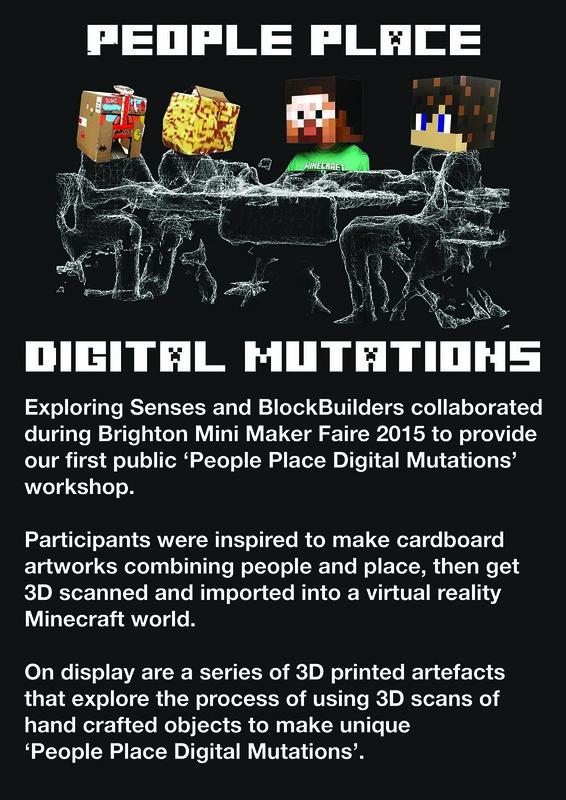 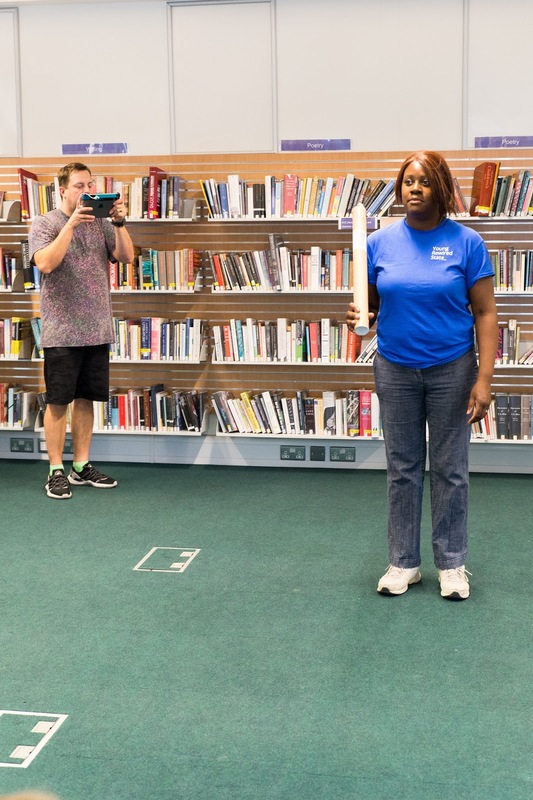 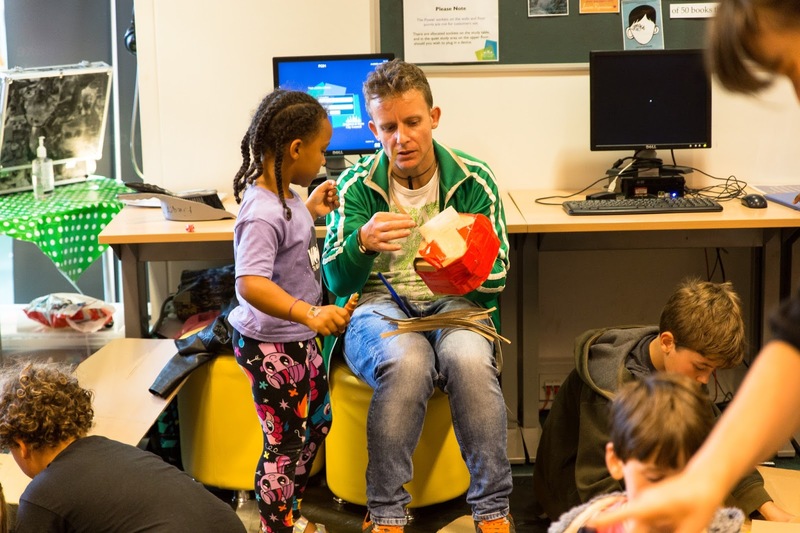 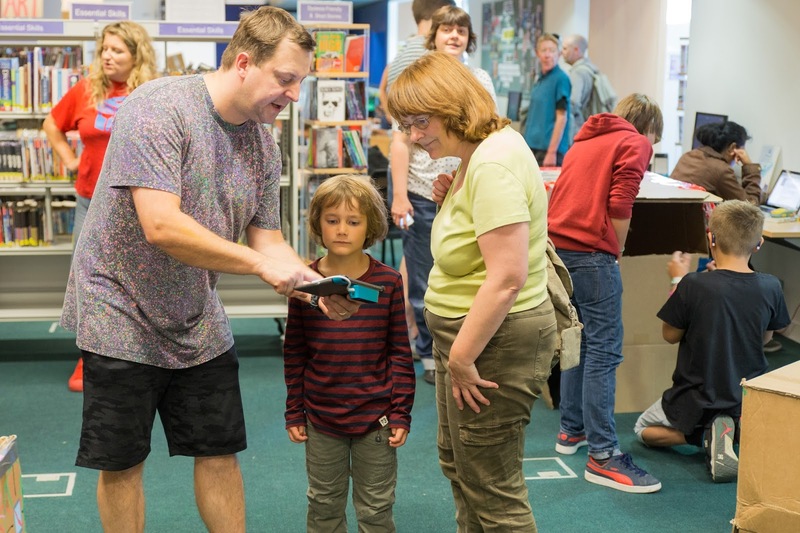 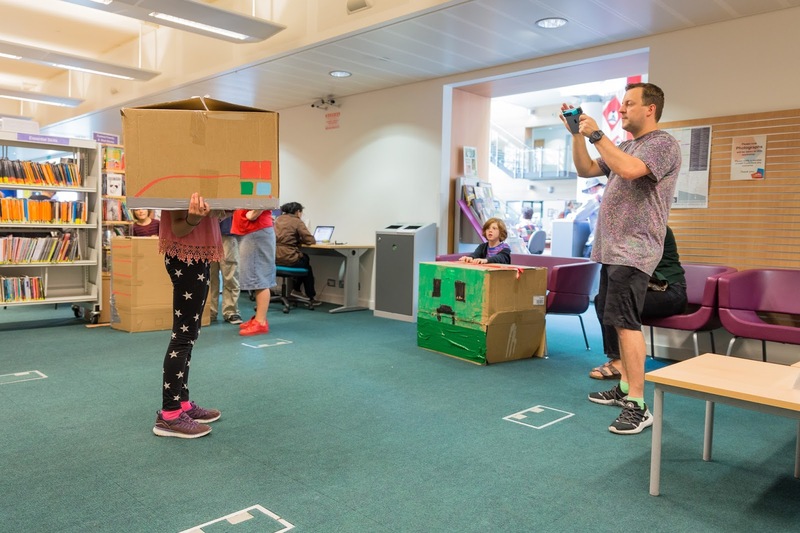 In recent years Exploring Senses have provided a number of workshops at Jubilee library from Toy Hacking to Arts Award, photography, and today’s People Place Digital Mutations workshop will be fondly remembered. 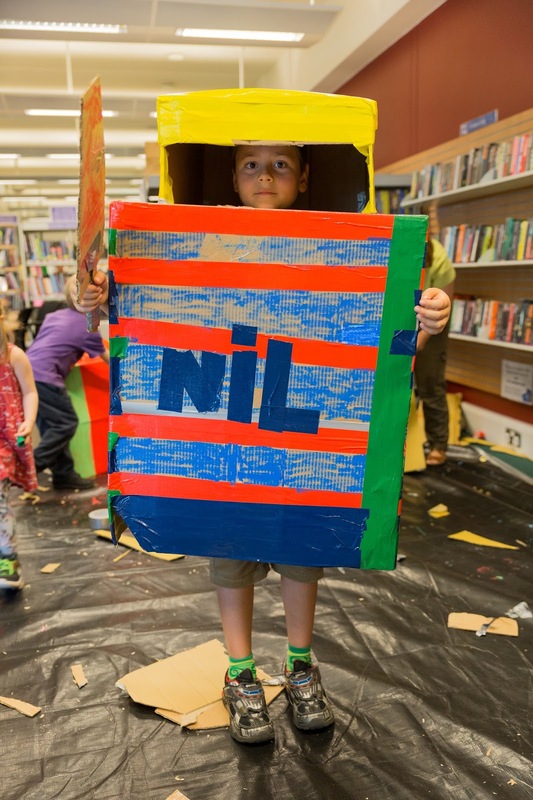 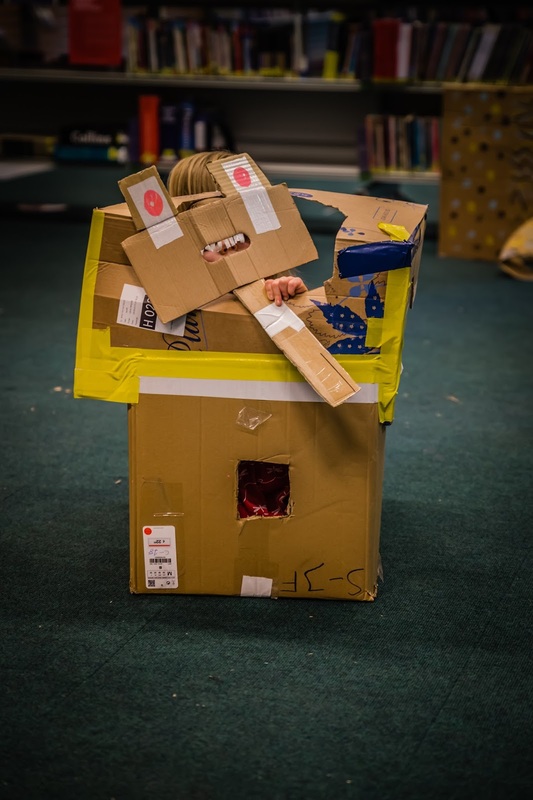 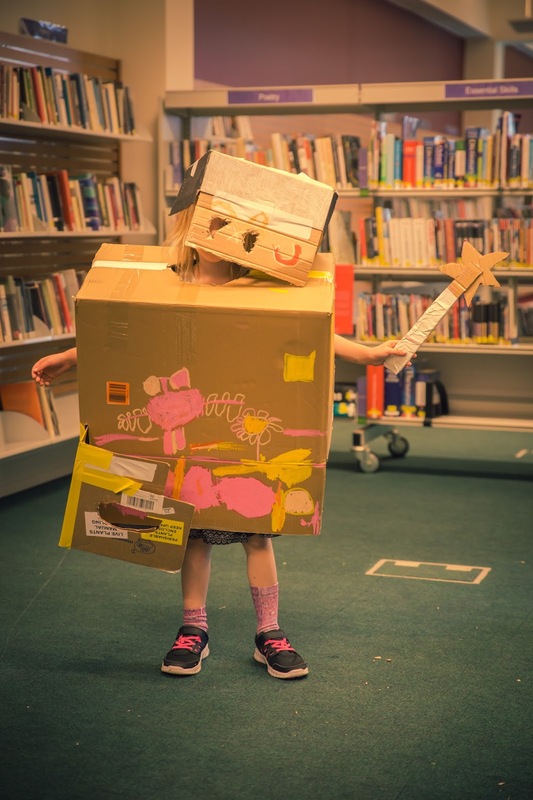 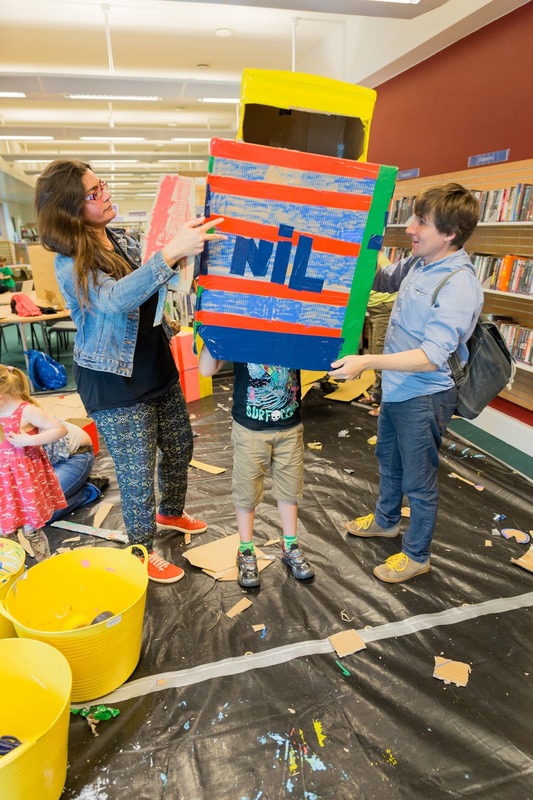 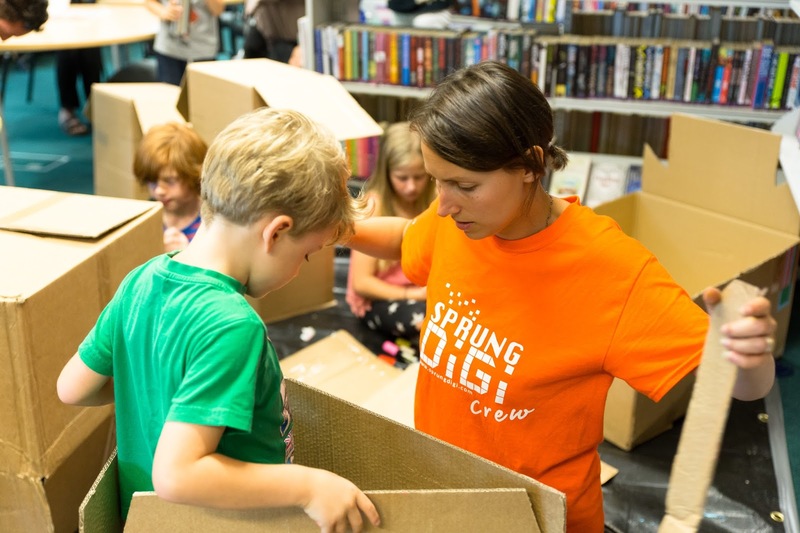 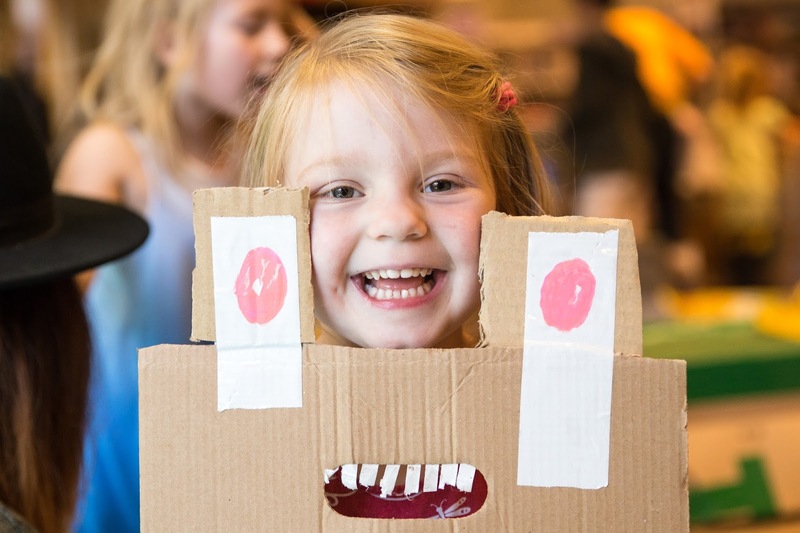 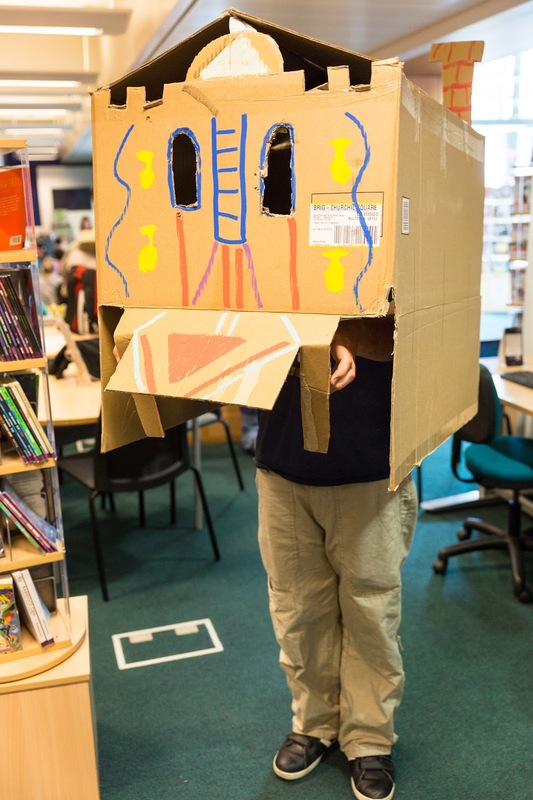 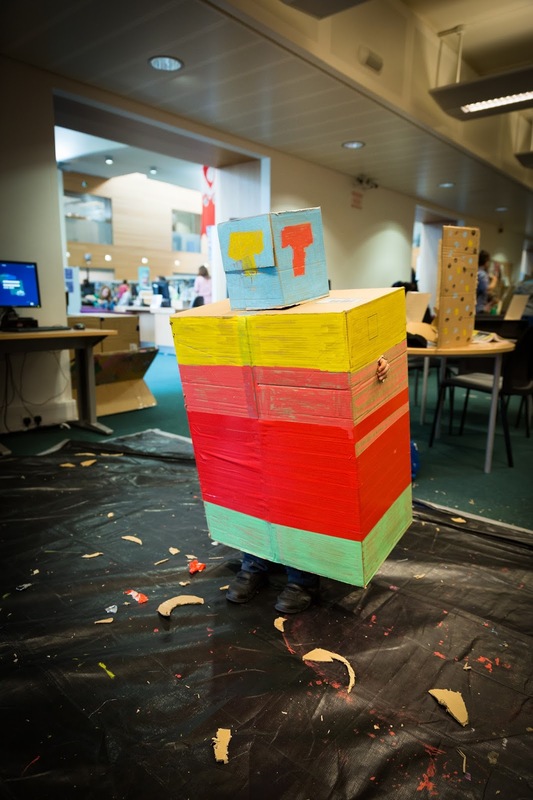 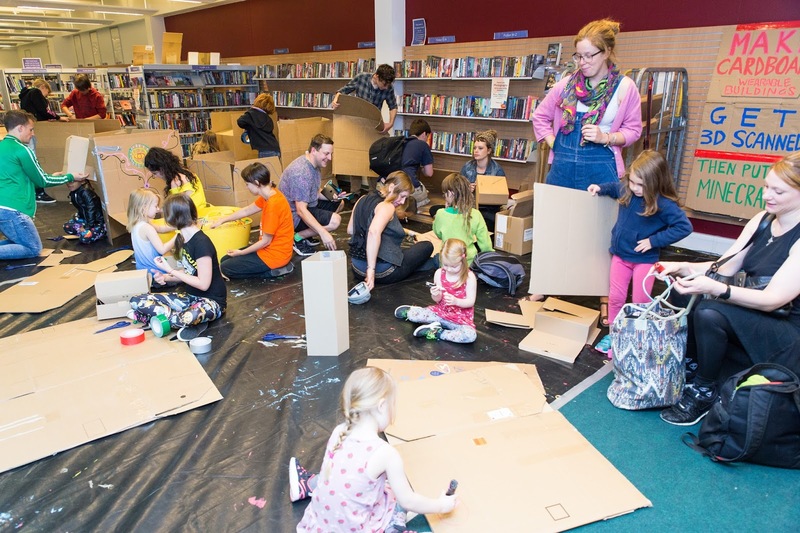 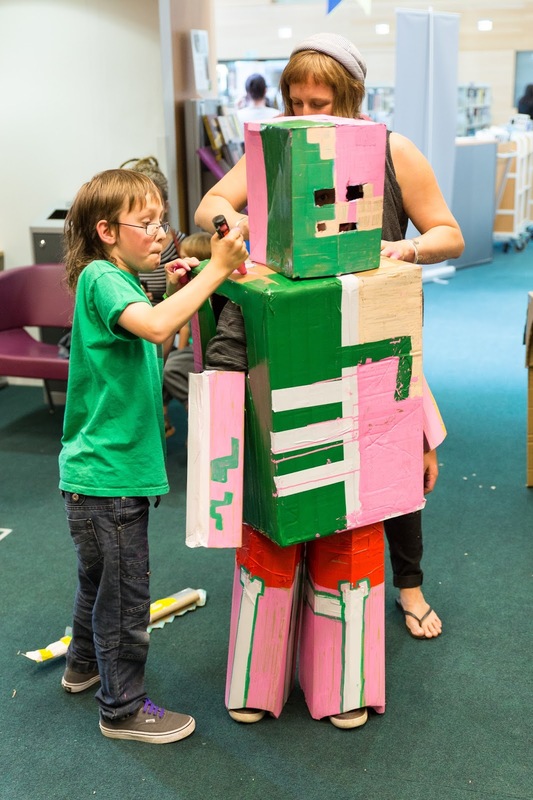 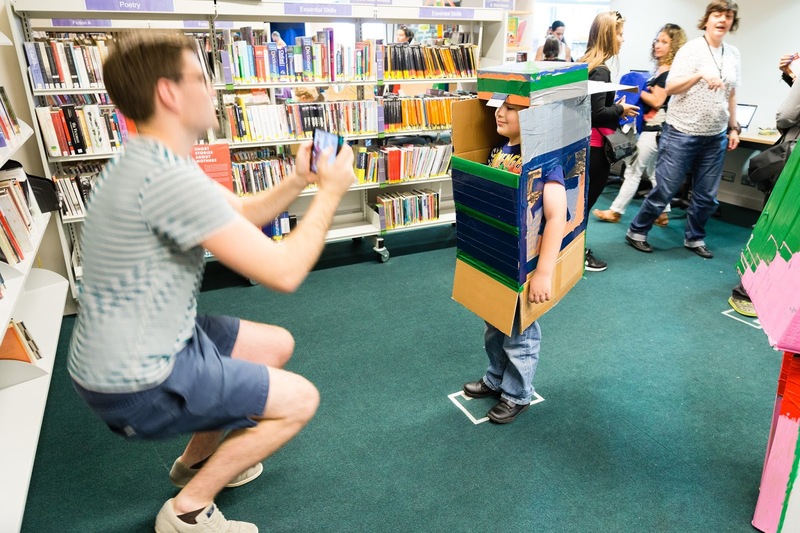 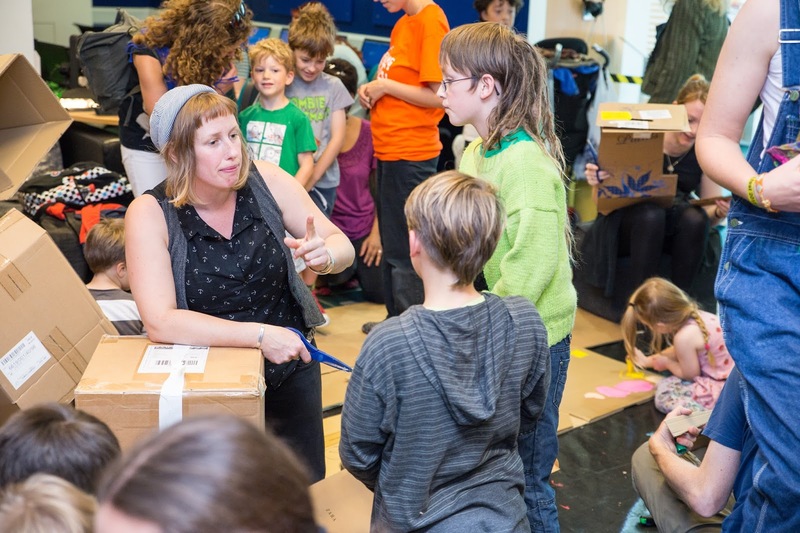 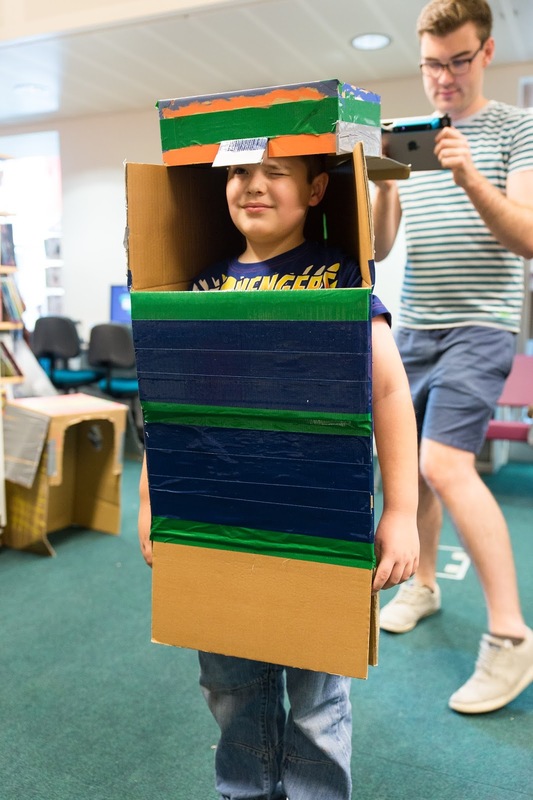 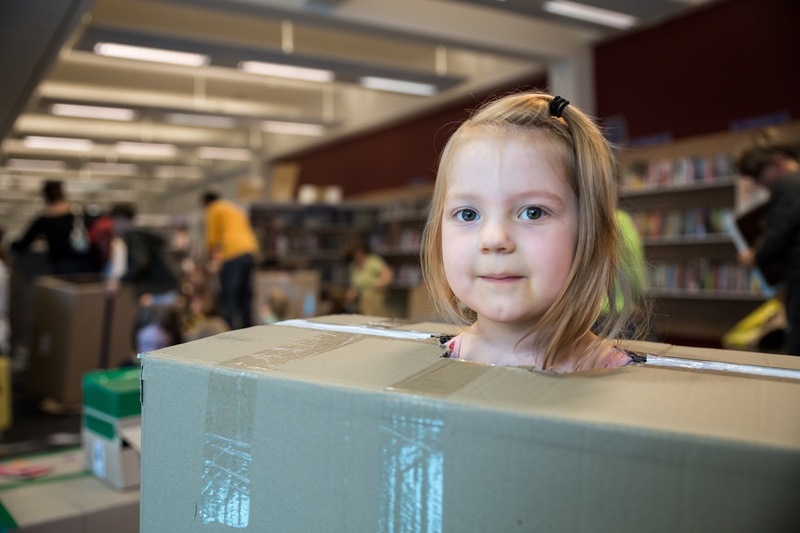 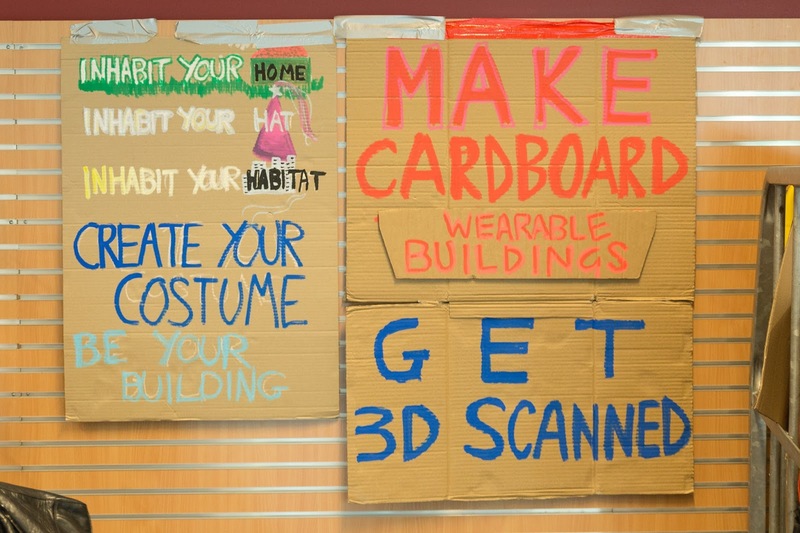 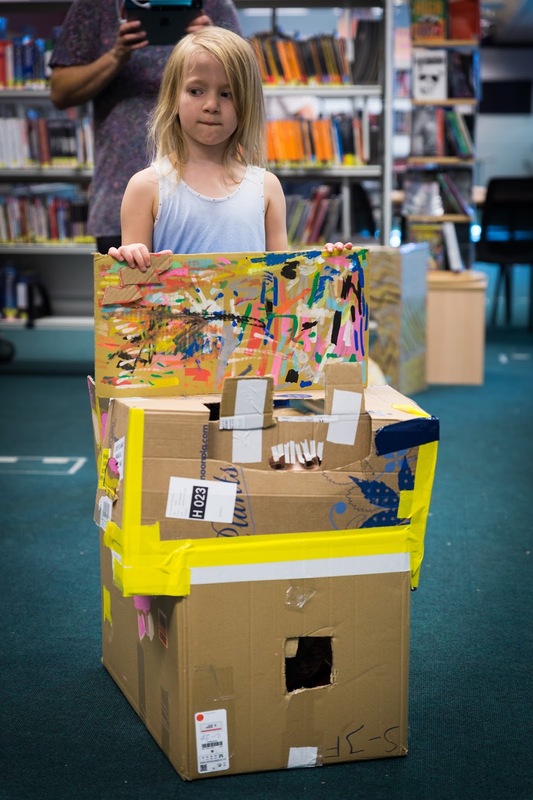 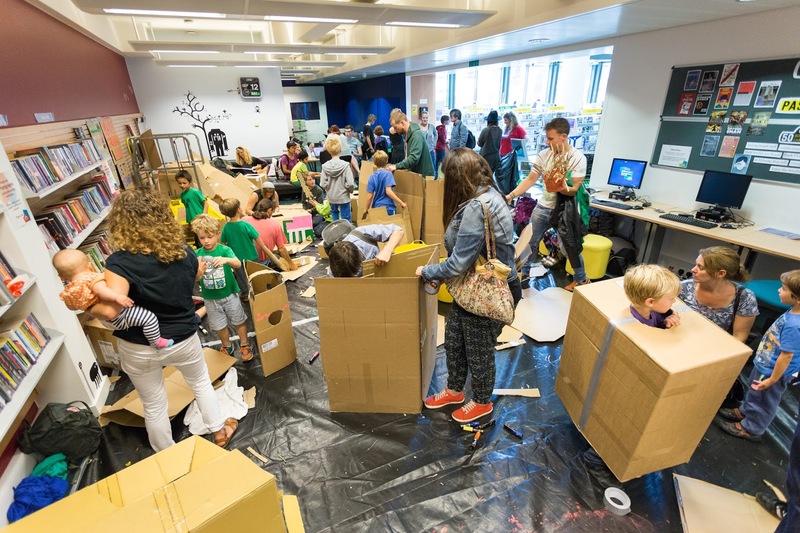 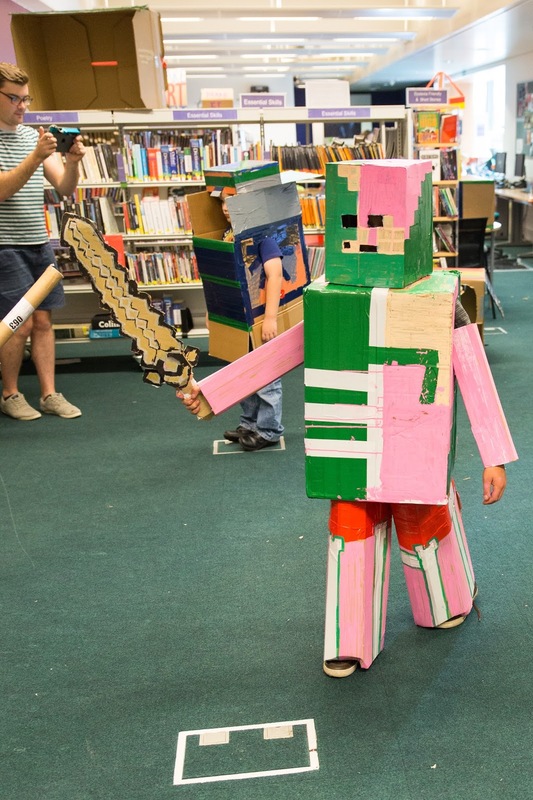 It was mayhem from the word go, people happily cardboard crafting, making awesome costumes, ready to be 3D scanned and imported into a Minecraft world becoming the latest in public artworks on offer. 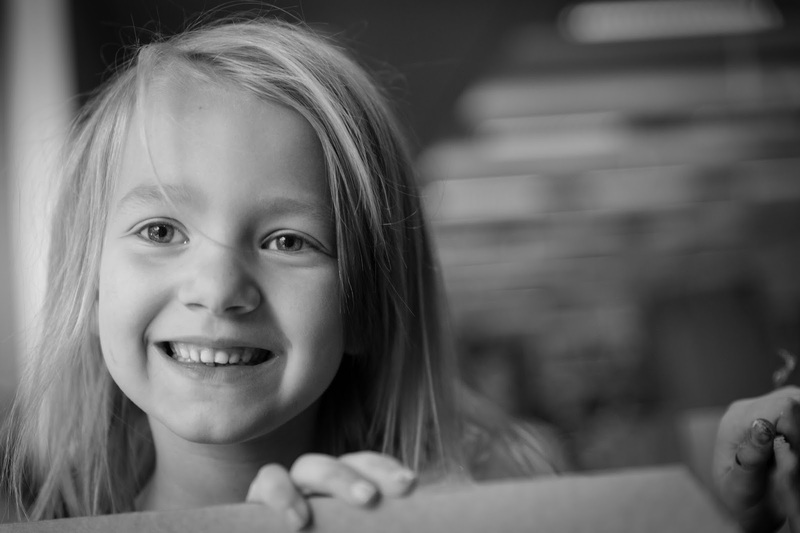 In was intense and entertaining to say the least, there were tears of joy and no injuries…..always a plus!